The first single, ‘No Reprieve’ off of the new album ‘Equinox’ will be available exclusively by free download on the Hard Rock Cafe Chicago’s Facebook Page from January 25th (starting at 2pm CST). Not only are we incredibly excited to share this never heard or performed song from the Equinox sessions but your free download of the song will help us advance to the next round of competition which is a live performance at the Hard Rock Cafe in Chicago. 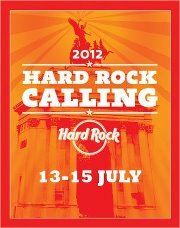 If we get past that we will be competing for a chance to open the massive festival in London, Hard Rock Calling this July! Bruce Springsteen has been confirmed as the headliner for the festival. Only folks living within 50 miles of Chicago can vote, Sorry! -a quick Facebook share, Twitter post, etc goes a long way.